As Julie Andrews would sing, “Let’s start at the very beginning.” About a year ago, I discovered HGTV’s Fixer Upper. I was inspired by the decorations Jo Jo created with junk she’d found on the side of the road. So like any good woman who needed to clean the house, I decided to put that energy into making fabulous art out of trash. In my case, it involved hot-gluing funky letters on a termite-destroyed fence post. Because everyone knows it makes sense to hang such a carrier inside your home. I liked it. My husband said he liked it. And just recently, my nephew and his new bride shared they liked it . . . without even being prompted. So of course, I’m going to make them one for Christmas. Fortunately, I was smart enough to keep several of the termite-infested posts (leaning against my new cedar fence), so I just needed the letters. I stopped at the closest craft store for a quick excursion to the letter aisle. My estimated ten minutes became three hours. I had forgotten the intoxicating wonder of this magical land. Cabinet knobs shaped like owls, yards of burlap with French script, shelves and mirrors in distressed, robin-egg blue paint. They even had a leather-engraving kit that tempted me until I remembered I hadn’t worn a belt since 2007. My heart raced with the need to create, and I had the perfect opportunity: Christmas gifts!!!! Now that I’ve started and my kitchen and clothes are covered in craft paint and hot glue (btw, it should be called freakin’-hot glue), I’m remembering I’m more of a performing arts kind of gal. Not so much the visual arts. Case in point, Halloween 2002. In fairness, my kids wouldn’t commit to a costume until the night before. My daughter chose Aerial the Mermaid. I ingeniously stapled silk scarves to the calves of her aqua-green Lycra leggings. Son wanted to be a bat. I put him in his sister’s old dance tights and leotard and stapled Hefty trash bags to the arms. To be honest, I’m not sure which was worse: placing two plastic bags inches from a three-year-old’s head or putting my son in a velour leotard. But I’m not going to worry, because everyone knows that a gift made with love (no matter what the quality) will always be more appreciated than a certificate to a luxurious spa. Ornaments by ladyheart. 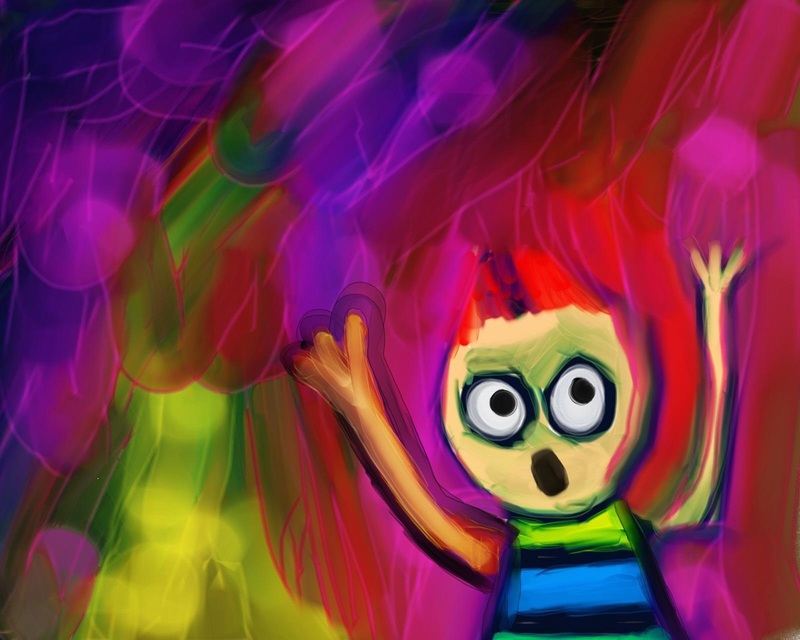 Scream-cartoon-painting by Prawny. 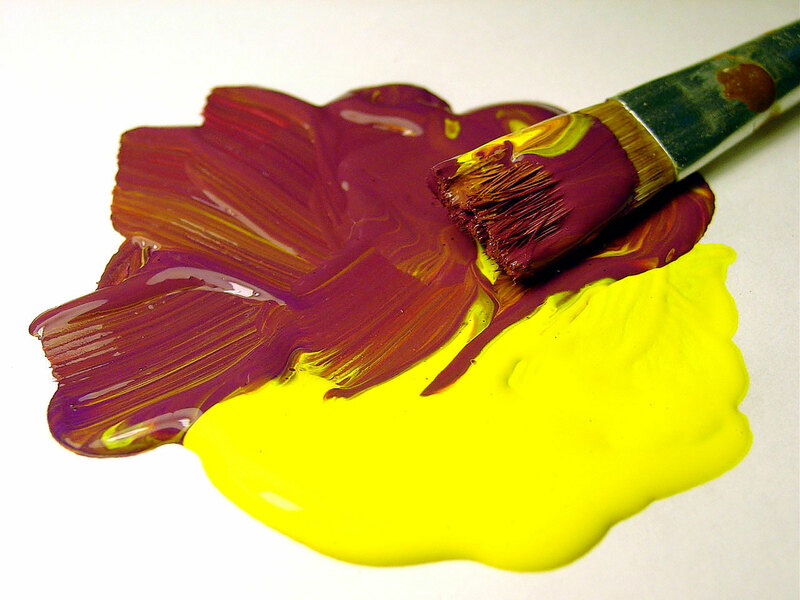 Paint brush by dhester. 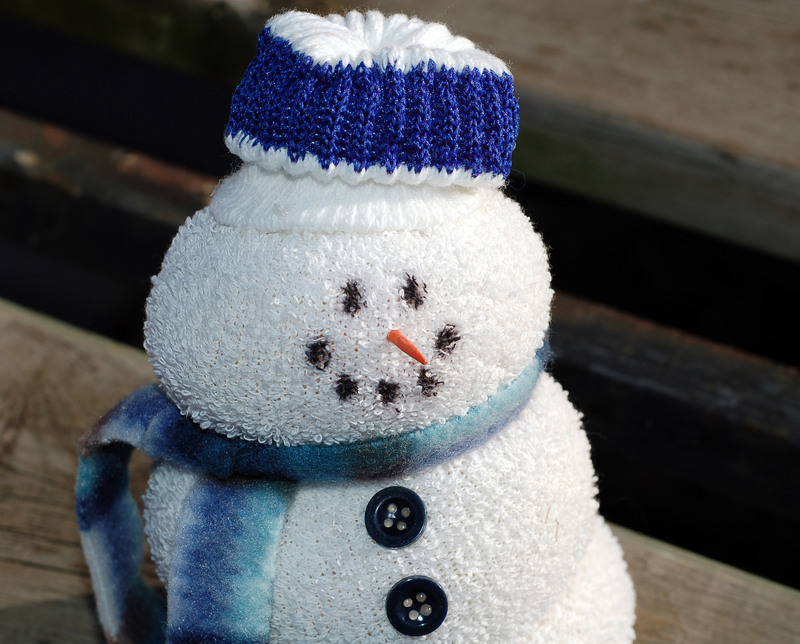 Sock snowman by ladyheart. This entry was posted in Holidays and tagged Art, Christmas, Crafts, Fixer Upper, Gifts by Chris Campillo. Bookmark the permalink. This brought back a lot of do-it-myself memories for me–including the year I dressed the boys in black, put duct tape down their sternums and across their chests, and told them they were skeletons. Ah, improv! Chris, this brings back some great do-it-myself memories, including the Halloween when I dressed the boys in black, ran duct tape down their sternums and across their chests, and told them they were skeletons. Ah, improv! I am SO not a crafter. My idea of decorating for Christmas is bringing the stuffed reindeer (or is that a moose? ), Santa, and Frosty into the living room for a month. Love it Chris! And the new website is terrific, too. Hugs! Love it. Let’s face it, most families qualify as sitcom material. The laughter is what helps us survive. I’d work with you any day.